Some good tips from young designer Dustin Pearce who shares his experiences on the transition between graduation and career. 1. Get a part time job after graduation while looking for a real job. It will not only give you more money in the bank but will give your day to day a little bit more purpose. 2. Hope is fuel. Hope comes from experience. Take hope from the experience of others. Read bios of people in your field to see how they overcame obstacles. 3. Ask someone in the class before you how they got their first job. The best people to advise you on the current challengers of a job search are those who’ve just been through it. Watch the whole video for more wisdom. Read more about Job Search, Videos. Do you feel as though your job applications go into a black hole? Are you tired of your resume being screened out by computer systems? If so, you’re not alone. 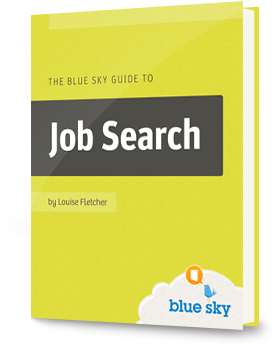 Most job applications get lost in a flood of responses, but this downloadable e-book will change all that. Instead of battling it out with a crowd of applicants for each advertised vacancy, you’ll learn how to find the hidden opportunities that make up an amazing 80% of all available jobs.